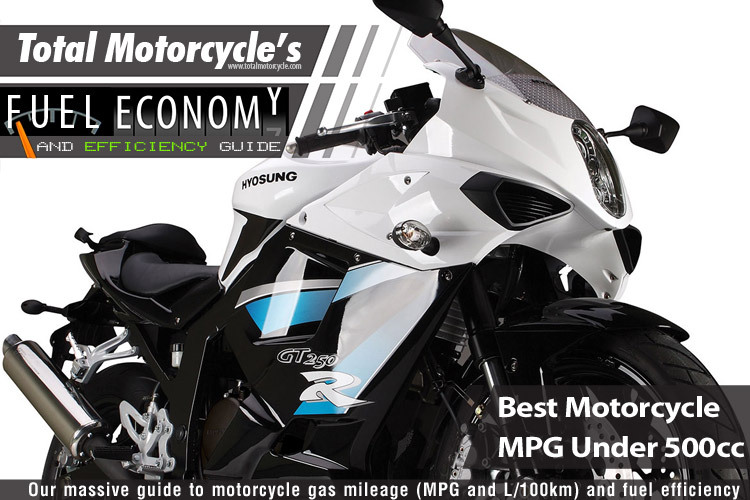 Hyosung GT250R EFI @ 110.0 MPG – Full Size and Easy to Start On. There are plenty of 250s on the market, but the majority are undersized and underpowered. Not the GT250R. It has the same dimensions as its 650cc sibling, so it feels like a full size sports bike, and it’s all wrapped in a slick aerodynamic fairing with racy clip-on handlebars. 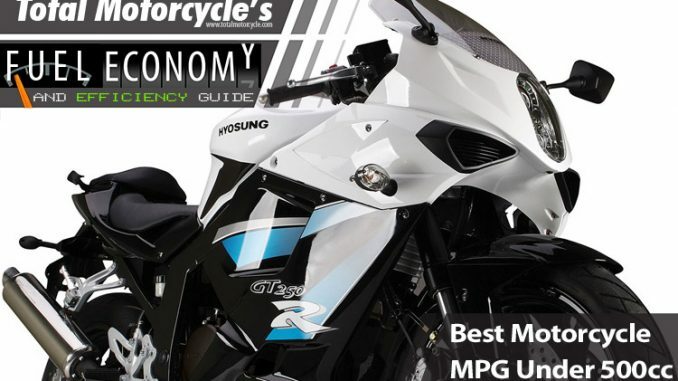 The Hyosung GT250R raises the benchmark for lightweight sport bikes! With the all new electronic fuel injection, revised riding position, lightweight and stronger stylish top triple clamp, sleek newly designed tail section, the competition has its work cut out.